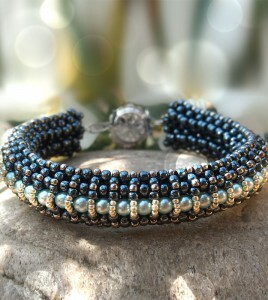 A special vintage style beaded bracelet with super duo beads and japanese Toho seed beads. 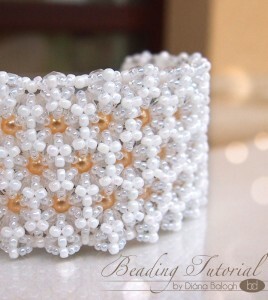 Tutorial for the beautiful beaded Aglio bracelet, from 6 and 8 mm pearls, fire-polished beads and seed beads. 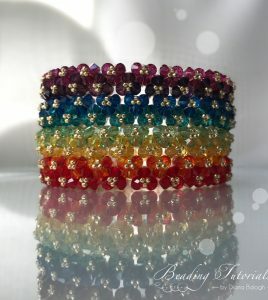 Aglio is a special segmented bracelet with a three dimensional structure. 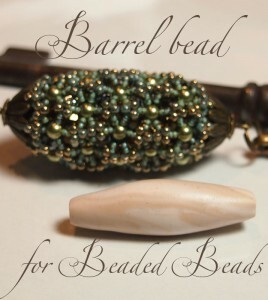 This is a really unique piece of your beaded jewelries. 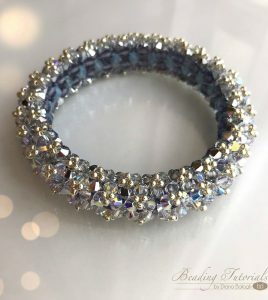 Thani’s Bracelet is an exciting beading project, because I combined more beading techniques in this bracelet. 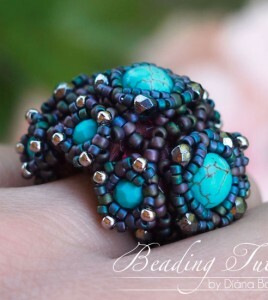 On top of the herringbone base there is a rhombus decoration, which is the accented element of the jewelry.